Retirement is a goal for virtually every American worker. For many, however, retirement savings aren’t on the radar; instead, Social Security is the safety net millions of aging employees plan to utilize to stay afloat in the years to come. While it’s not recommended to rely solely on Social Security in retirement, this is a reality many Americans face. According to the Social Security Administration, 21% of married couples and 43% of unmarried individuals depend on government benefits for 90% or more of their income in retirement. Unfortunately, times are changing. The security provided by this popular program is no longer as sure as it once was. As the disproportionately large Baby Boomer generation heads toward retirement, current reports indicate that by 2037, fund reserves will be exhausted as the program fails to bring in as much money as it spends. After this point, taxes will only be able to fund about 76% of scheduled benefits. The reasons behind this are numerous, but include more retirees and longer lifespans among the reasons. Additionally, the government has not exactly served as responsible stewards of this fund, mismanaging the money within by lending to other government agencies rather than looking to the needs of future generations. 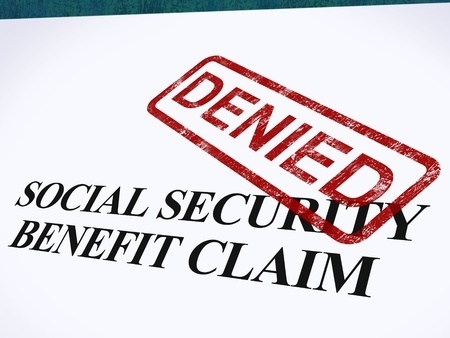 Another massive draw on Social Security is the federal government actually encouraging more and more Americans to utilize government handouts such as welfare and food stamps, which results in less people paying into the Social Security system. As such, the current path forward is narrow indeed, leading to one simple solution the government is strongly considering: an increased retirement age. The Social Security retirement age has long been a contentious topic. Appropriate for some and far too old for others, this age determines when government benefits are eligible to begin for the aging American workforce. The retirement age isn’t arbitrary. Rather, it’s all a numbers game depending on the funds available, projected contributions, life expectancy, and more. It’s also subject to change, and has done so several times already since the program’s inception. The 1983 amendments that influenced the current model are perhaps most important; this legislation was passed to mitigate short-term financial problems and centered largely around age. Age and life expectancy are serious contributing factors to the state of the current Social Security funds. When the program launched in 1935, life expectancy was significantly shorter than it is today, and most beneficiaries were expected to live only several years after leaving the workforce, if that. In fact, at the time of the implementation of Social Security, a woman born in 1930 was expected to live to age 62, while a man was expected to reach 58 – both lower than the retirement age. Today, the reality is much different. While only 6.7 million members of the living population were over age 65 in 1930, 34.9 million had passed this point in 2000. This is a stark difference, especially as life expectancy climbs higher and higher. A woman turning 65 in 2017 can expect to live, on average, to age 86.6, while a man turning 65 today is likely to live to age 84.3. With decades of payments expected, the current Social Security program is far different than it was ever foreseen to be. Despite years of successful use, the future of the Social Security system is murky indeed. With ages far exceeding the lifespan in the 1930s and more retirees than ever before, the pool of currently available money is likely to run dry before today’s millennials reach retirement age. This means that those who are 20 years or more from retirement or anyone who expects to be alive and pulling from Social Security past 2037 is currently paying into a system that may not be able to reciprocate when the time comes. As unfortunate as it may be, increasing the retirement age and subsequently reducing the amount of benefits that must be paid out is among the only realistic ways forward. While no specific legislation is on the table as of yet, a raise in retirement age is advocated for by economic advisors from all areas of study. A GOP proposal put on the table in December 2016 suggested a phased increase from 67 to 69, much like the increase from 65 to 67 in the current model, while other plans propose a retirement age of 70 instead. 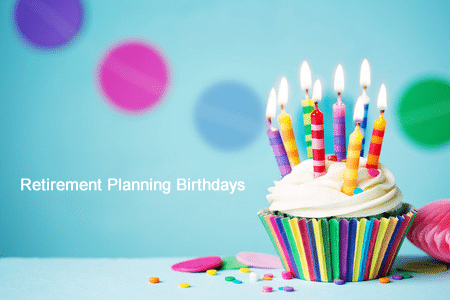 While there’s no way to know what the years ahead may bring, independent preparations today can make a world of difference tomorrow, no matter how Social Security may change.